Waking up from a restful sleep in a comfortable bed calls for morning exercise! Fort Wayne is home to the Rivergreenway which stretches 25 miles along the St. Joseph, St. Mary&apos;s, and Maumee rivers. The Rivergreenway is a beautiful backdrop for any morning cardio! Downtown Fort Wayne also has many places that can accommodate the urge to get moving. Take a class or work it out at Pranayoga, Pure Movement Pilates Studio, Fort Wayne Dance Collective, or the Central Branch YMCA. Now that you are warmed up and stretched out, why not ditch the car to paddle or pedal around Fort Wayne? Fort Wayne Outfitters and Bike Depot have hourly, half day, and full day kayak, canoe, bike, and paddle board rentals to take you where you need to go on land or water. If you are looking for ways to get around for large groups or just for some local fun, check out Pedal City where you can take a private tour for groups of 10-12 people or rent a Surrey Bike for 2-4 passengers. Since you have your mode of transportation, you can start your day off right with a tasty, hand-crafted brunch! Trubble Brewing (21 and over), Dash In (21 and over) Green Frog Inn (21 and over), Granite City, Fortezza Coffee, The Friendly Fox, and Don Halls Old Gas House have weekend brunch options that are close enough to ride to and will fill your tank well into the day! 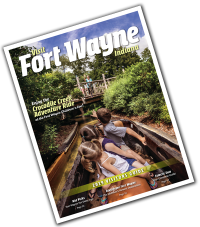 With a full belly and caffeine buzz, you could take a tour of Fort Wayne&apos;s finest museums that are conveniently located within walking, riding, or boating distance from each other. 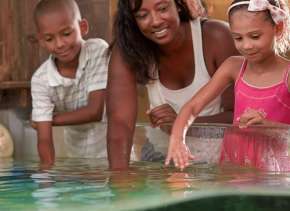 The Fort Wayne Museum of Art, Artlink, Castle Gallery, The History Center, The Auer Center, The Fort Wayne Firefighters Museum, and Science Central are all great places to entertain and educate people of all ages. If you have hit the late afternoon lull and need a healthy pick me up, downtown Fort Wayne has a number of healthy juice bars and eateries to nourish and make you feel great. Jai Juice, Juice Jar, Freshii, Pembroke Bakery and Café, and 3 Rivers Food Co-op Natural Grocery and Deli are superb options if you need a place for a fast, but nutritious bite. When the sun retreats, downtown comes alive! Reserve a table at one of Fort Wayne&apos;s supreme restaurants such as Tolon, Nick&apos;s Martini Bar, Bourbon Street Hideaway, Paulas on Main, or Park Place on Main and you won&apos;t be disappointed. If the weather is on your side, many excellent Downtown eateries have outdoor seating. I personally like The Deck at the Gas House, Hoppy Gnome, Club Soda, Henry&apos;s, 816 Pint & Slice, and J.K. O&apos; Donnells. 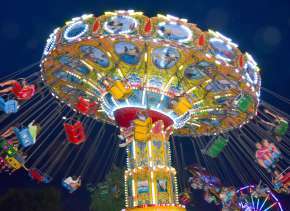 Fort Wayne has a vast events calendar, especially in the spring. Check out the Embassy Theatre, the Grand Wayne Center, the Civic Theatre, the Arena Dinner Theatre and the Cinema Center to entertain your evening to the max! Don&apos;t think about heading out of town early! 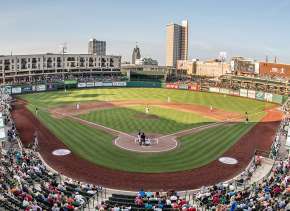 Head to a Fort Wayne TinCaps game, visit the Fort Wayne Children&apos;s Zoo, or visit one of Fort Wayne&apos;s finest parks and you will never want to leave! 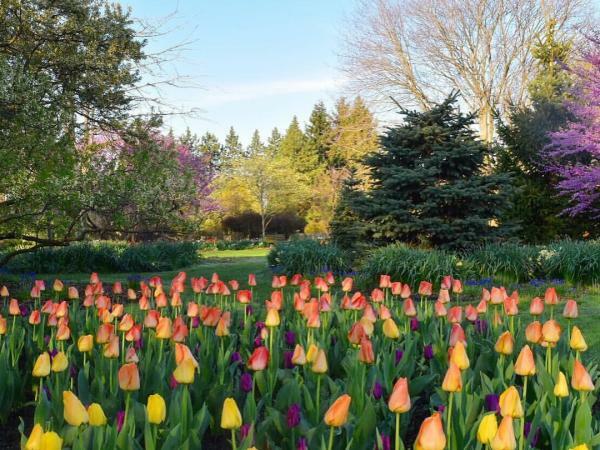 There is so much to do in Fort Wayne in the spring, so pack up and come see what all the excitement is all about! Fort Wayne has great lodging all around the city. From staying near the downtown action to eclectic lodging experience there is something for everyone&apos;s tastes. 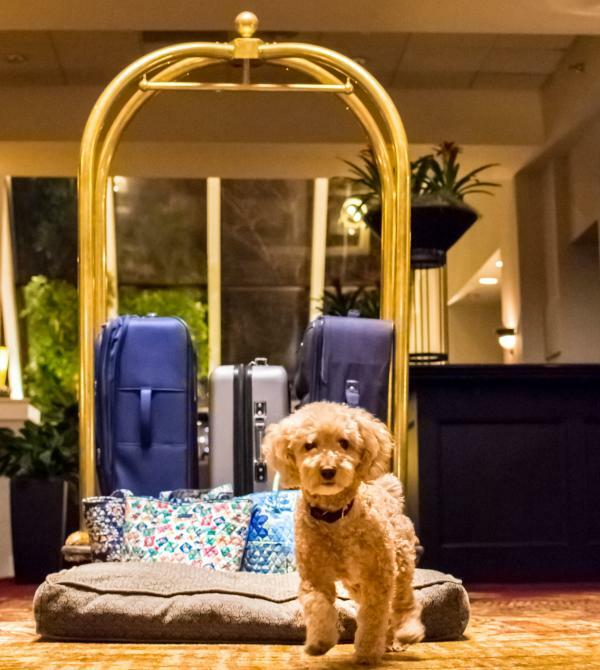 If you are looking to stay the night at one of the great hotel options in Fort Wayne, Visit Fort Wayne is your resource to pick the best option for your needs. There are also great money and time-saving packages for your family to enjoy! 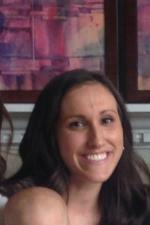 I am a Fort Wayne native and lover of all things local. I graduated from Indiana University Bloomington in 2007 and moved back to the area shortly after. I spend my time exploring all the local restaurants, shops, and events that the area has to offer while also being a mom of two awesome kids!